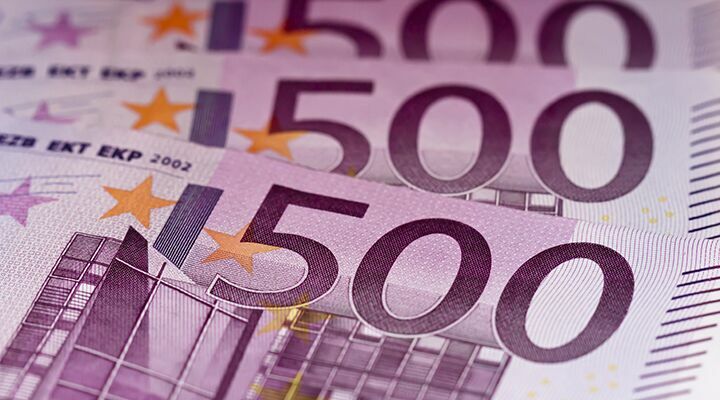 The €500 note may be a favorite among criminals, but it is also the most popular bill for small, law-abiding businesses. Car dealerships, construction workers and shop owners use it every day. But the €500 is also popular among another large group of individuals: those who don’t trust the banks or the government! For these people, physical money represents freedom: freedom to hold cash outside the banking system; freedom to conduct business without notifying others; and freedom from government surveillance and overreach. Yet Germany and Europe appear to be moving toward banning cash, even though many people are strongly against it. They are doing this for two reasons. First, it is an effort to cut the “comfort for criminals,” as European Central Bank President Mario Draghi told the European Parliament on February 1. Changes are needed, and abolishing the €500 note is under consideration, he said. Authorities want to force people to conduct transactions electronically—where suspicious activity can be detected and monitored. By forcing all transactions to go electronic, it will create a permanent paper trail. Theoretically, a record of every transaction you ever make could be kept and stored—forever. It is a treasure trove for authorities looking for evidence of crime. And when evidence is found, potentially decades of financial transactions could be searched to ferret out financial connections, relationships and any other potential misdeeds. Some big businesses support the effort because it offers multiple opportunities for consumer-spending analysis and marketing possibilities. Banning paper money, however, is still an unpopular position. In Germany in particular, there is a deep distrust of banks. The old deutsche mark had a 1,000-mark note. When Germany joined the euro, the €500 was specifically created to assuage the public’s concerns. Today, the vast majority of consumer transactions in Germany are still cash. Less than 20 percent are conducted with plastic. So getting rid of the €500 is a touchy subject. Many Germans still remember the economic upheaval of the Weimar days and the destruction of wealth that took place in the banking crisis of the early 1930s. They remember the hyperinflation that made their money worthless in the 1920s, but they also remember the banking crisis that led to the rise of the dictatorial fascism of the Nazis. Eliminating the 500 note would remove one third of all euros in circulation. Paper money is popular in Germany because it is tangible. It is something that can be held and stored outside the banking system. It isn’t just electronic digits on a computer ledger that can disappear with the click of a button. It isn’t something that a computer hacker halfway around the world can steal. In a world of economic upheaval, it is at least something they can hold in their hand—or put under their mattress—and feel some security. Then Europe changed. The Charlie Hebdo and Nov. 13, 2015, Paris terrorist attacks startled Europe. Islamic terrorism is the new fear. And politicians are exploiting it. Alternative for Germany’s monetary policy spokeswoman Alice Weidel called the cash ban an attack on freedom. “This measure … is a direct attack on the property rights of citizens,” she said. “If we give this up … citizens will lose an elementary right to their freedom and the way is paved tototal surveillanceof all areas of life” (Bundesdeutsche Zeitung, February 4; Trumpet translation). Germans are currently free to take as much of their own money out of the bank and spend it as they want—without notifying anyone. But for how much longer? Do politicians really think that laws like this will stop the terrorists? A handbag can still carry over €1 million in €100 notes. Laws like this only stop the petty criminals. Organized crime will find another way. Terrorists will find another way. And politicians know this. On Dec. 3, 2015, the European Central Bank cut its key interest rate deeper into negative territory. Negative interest rates are when the bank charges you to deposit money. In this case, the central bank is charging the big commercial banks for putting money on deposit. It is an effort to coerce the big banks to make more loans—and thus theoretically jump-start the economy. But with an economy stuck in recession, many banks are already stuffed to the gills with junk loans. As Trumpet writer Richard Palmer wrote recently, Italy’s banks are teetering on the edge of collapse. It is feared that even Banca Monte dei Paschi—the oldest bank in the world may be headed toward failure. No one knows how Europe’s banks will handle negative interest rates. If the banks start charging depositors interest—as opposed to paying it—it could cause many investors to yank out their money. This is the big fear—negative interest rates could set off a chain reaction of old-school bank runs. It may already be happening. So the trillion-euro question for monetary authorities is: How do you force people to keep their money in the banks when the banks are charging depositors interest? You make it difficult or illegal to withdraw money. This is the second reason authorities want to ban cash. This is also exactly what Citigroup’s top economist Willem Buiter recommended in April. He said the world needed to outlaw cash. According to Buiter, negative interest rates are the only way to jam more debt into the system. And to make this work—without causing a bank run—authorities must abolish cash. Authorities must get rid of cash, he says, because no one in their right mind would keep it in the system if they were being charged 6 percent per year. Other leading economic authorities are echoing the call. The Bank of England’s chief economist said in September that cash should be eliminated and people should be charged for the electronic equivalent. The president of Norway’s biggest bank made similar remarks. On February 9, popular financial blog ZeroHedge posted a letter from Deutsche Bank’s respected credit analyst, Dominic Konstam saying that negative interest rates should be passed on to depositors and any cash withdrawals should be taxed in order to encourage people to keep their money in the banks. But governments may not actually have to work all that hard to get rid of paper money. 80 percent of all purchases in Sweden are now electronic. According to Casey Research’s Nick Giambruno, two major Swedish banks no longer carry any cash. Norway’s second-largest bank no longer takes cash at its branch offices. And even homeless street vendors in Sweden use mobile card readers. Increasing numbers of people are using plastic. Some like the rewards they get for using credit cards. Others are unaware of the data that companies glean from their transactions. Consumers can now pay for things using their phones. And some companies are playing with inserting microchips under the skin of your hand or arm that would let you connect to computer systems and pay for things by simply placing your hand on a scanner. People are embracing electronic money for its convenience. And people are being conditioned to give up their privacy. We live in a Facebook world where people willingly divulge personal information. People have forgotten what it is like to live under totalitarian repressive regimes that would use that data against them. For now, Europe may still be a ways off from a completely cashless society—but it is headed in that direction. In France, cash payments account for half of all transactions. In Germany, it is closer to 80 percent. But the trend is in place, and policymakers are pushing hard to get rid of cash. The onset of a cashless society has big implications. It is potentially a huge source of new power for bureaucrats and government regulators. Governments will have the ability to electronically observe and regulate all economic transactions! From buying bubble gum to selling a sandwich, people’s actions will be catalogued and stored in databases for Europe’s watchdogs to sift and monitor. Think of the power this will give government officials. In a cashless society, everyone would be forced to use electronic money and a banking system controlled by the government. In such a scenario, it could give tyrannical governments the ability to lock people out of the system—and even control what people are allowed to spend their money on—or when they are allowed to spend it. It could give tyrannical governments the ability to lock people out of the system—and even control what people are allowed to spend their money on—or when they are allowed to spend it. Everyone wants to be able to “buy or sell.” In this scriptural usage, the expression “buy or sell” more literally indicates being able to buy—not that stores or those from whom one might make purchases of the necessities of life would refuse to accept the money, but that the one refusing the “mark” would not be able to buy, would not be able to earn a living, to earn a wage orsalary, or to engage himself in business. In his booklet Who or What Is The Prophetic Beast?, Mr. Armstrong proved that the mark of the beast was Sunday worship. “And the world will be so geared that it will be almost impossible for one to ‘buy or sell’ except he receive this mark of the beast!” he wrote. As has happened in the past, he wrote, only those who submit to the religious ideology of the beast will be allowed to conduct commerce.